Every year on April 26, the world marks International Chernobyl Disaster Remembrance Day.What happened in Chernobyl? Has the energy community learned from this disaster? How can assistance from USAID make a difference here? Chernobyl is the site of the world’s worst nuclear accident. On April 26, 1986, reactor 4 exploded, sending radioactive clouds into the air over the former Soviet Union and Europe. A design flaw in the reactor, where the nuclear fuel generates heat that turns water to steam, and poor operational procedures within the facility were two factors in the disaster. On that day, a power surge during a systems test led staff to attempt an emergency shutdown. Sadly, due to design flaws this exacerbated the power spike and led to the accident. The energy community learned several key lessons in the aftermath. 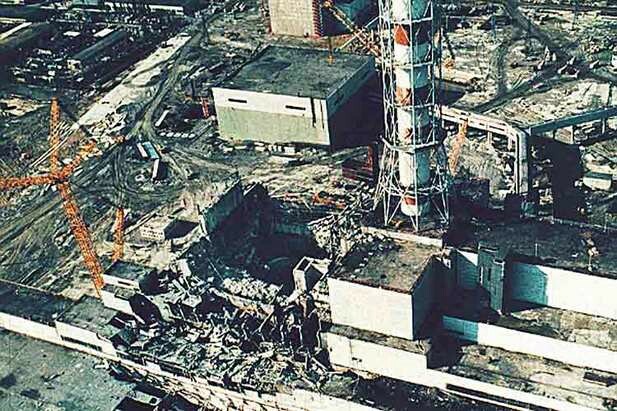 Flaws discovered in the Chernobyl facility led to safety upgrades at similar reactors worldwide, and closed others altogether. Most importantly, the accident led the global community to realize that collaboration benefits us all. Because the Soviet Union didn’t disclose the severity of the accident for many days, millions of people lived unknowingly under radioactive clouds. Since that time, the International Atomic Energy Agency has expanded safety standards and required members to quickly report incidents with potential international impacts. What humanitarian and environmental impacts did this explosion have? Who was affected? The legacy of the Chernobyl accident continues to burden Belarus and Ukraine. The initial response to the accident was heroic. 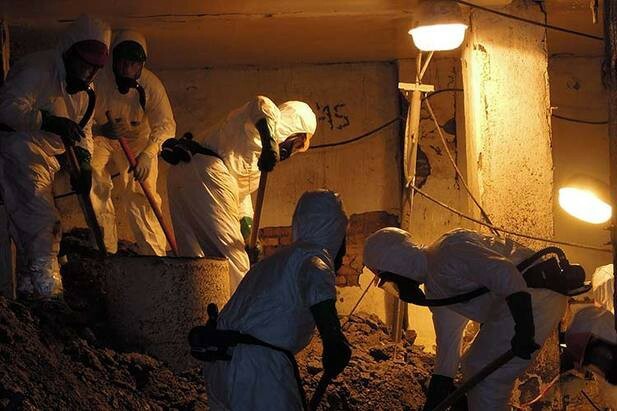 Emergency responders sacrificed themselves to spray cooling water and shovel materials into the reactor, slowing the nuclear reaction before the reactor was ultimately entombed in a concrete sarcophagus. As the accident response continued, workers were called into action for only minutes a day to limit radiation exposure. The magnitude of the long-term health effects remains unknown. Over the coming years, public health experts expect thousands of premature deaths -- both of site workers and those exposed to environmental contamination, leaving a legacy of social and financial costs. The U.S. Government activated a humanitarian response quickly after learning about the accident. USAID’s massive public health response was launched in May 1998 when Congress provided funds to address health problems among children exposed to nuclear radiation.Since then, USAID has continued to protect the health of families living in radiation-affected areas. But the costs don’t end with health care. Hundreds of thousands of people, including the entire population of the city Pripyat and residents of several other towns and villages near the site, were displaced, and Ukrainian and Belarusian exclusion zones with controlled access exist around the site to this day. Both countries actively manage these zones, and Ukraine also oversees ongoing operation of safety-related projects, which will likely continue for at least the next several generations. 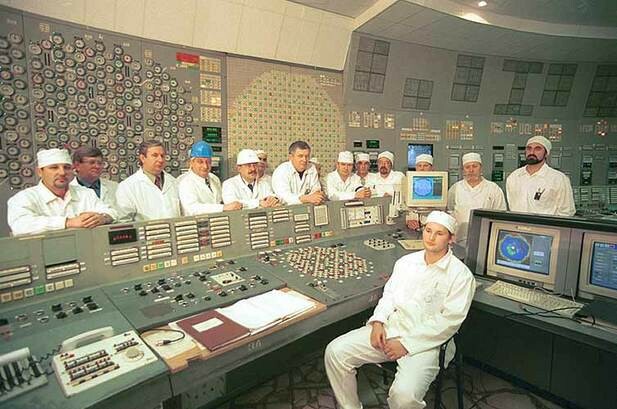 USAID has helped “decommission” the Chernobyl nuclear plant. What exactly does this mean? What role has USAID played? USAID has partnered with donors from over 40 countries and the European Bank for Reconstruction and Development, the organization spearheading the effort, to support projects that will return the Chernobyl site to an environmentally safe condition. This year testing will nearly be completed on a 100 meter-high shelter arch (approximately 30 stories), which covers and limits spread of contaminant as the degrading sarcophagus is dismantled — the culmination of roughly 20 years’ of USAID support. To limit the workers’ exposure to radiation, the team on the ground constructed the arch next to the reactor building before sliding it into place — one of many innovative approaches employed on this first- (and hopefully last) of-a-kind project. In addition to the shelter arch, donors supported construction of a liquid radioactive waste treatment plant that processes contaminated fluids into solids for long-term secure storage and an interim spent fuel storage facility that will store spent fuel from the Chernobyl reactors in secure canisters, enclosed in concrete, for at least 100 years. The U.S. firm Holtec is leading this work, which is scheduled for completion in 2019. Over 30 years have passed — when will the fallout from this disaster be contained? Will Chernobyl ever be safe? The shelter arch addresses one large safety concern — the deteriorating sarcophagus. Following the accident, the sarcophagus was hastily-built and is now crumbling with risk of collapse. Prior to the arch, a collapse would have released a radioactive dust cloud into the environment. The arch now provides an enclosed space for sarcophagus deconstruction, which will limit further contamination of the environment. Radiation levels around the reactor facility are so high that the area is not expected to be habitable for at least hundreds of years. The areas surrounding the facility have become a wildlife sanctuary, due in part to the lack of human presence in the exclusion zones. While some areas of the zone are “safe,” there are “hot spots” of increased radioactivity that are not safe for humans, leaving the generations to come to face the legacy of Chernobyl. About the Authors: Steve Burns in the Energy and Infrastructure Division Chief for USAID’s Europe and Eurasia Bureau working on cybersecurity, regulatory reforms and energy market integration. Leisha McParland is the Communications and Outreach Adviser in the same bureau. Follow their work @USAIDEurope. Editor's Note: This entry origially appeared in USAID's 2030: Ending Extreme Poverty in This Generation publication on Medium.com.